Sally Barber is a Principal Research Fellow for Born in Bradford and Manager for the Healthy Children, Healthy Families theme of CLAHRC YH. 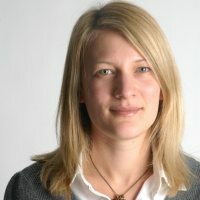 Sally is an applied health researcher whose interests are in physical activity for health, sedentary behaviour and childhood obesity prevention. Her main research focuses on understanding the determinants of physical activity in children, developing and evaluating interventions to promote childhood physical activity, reduce sedentary time, and prevent obesity. Sally is a visiting Research Fellow with the School of Psychology at the University of Leeds and the Faculty of Health Studies at the University of Bradford. Since 2012 she has secured over £800,000 as Principal Investigator, and over £9 million as co-applicant from a range of funders including: NIHR, Big Lottery, and British Heart Foundation. I love the opportunities to think up creative ways to improve health and wellbeing through physical activity and working with different partner organisation to use research to improve practice.